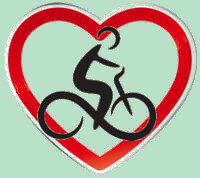 ﻿	Our Bike Rides Selection from Provence Cycling Holidays, self guided bike tours in the Luberon, Provence, France. RIDE SELECTION AT THE VILLA. You have the flexibility to choose a ride based on the sights that you want to see, and how hard or easy you want the ride to be. Choose from 30 rides in our Ride Directory. We have grouped our rides into 6 different geographic zones around the villa. By choosing a zone you will get a full different day's cycling and sights each day, with very little repetition from one day to the next. You'll will get to see beautiful old villages, countryside and some amazing sights on each day's ride (chateaux, museums, churches, provençal markets, restaurants, vineyards, cafés etc). Zone A - Along the waterways. This is a lovely, very flat ride with just 34 kms / 21 miles and only 170m of climbing, where you can visit L'Isle sur la Sorgue, Lagnes, Fontaine de Vaucluse & Robion. With a longer ride you can visit these villages plus St Didier & Pernes les Fontaines for 58 kms / 36 miles or more. Zone B - 2 of the most Beautiful Villages in France. A superb, rolling ride with 53 kms / 33 miles and 500m of climbing, we can take you the easiest, and a very picturesque way to two of France's "Most beautiful villages" Gordes & Roussillon. With a longer ride you can visit these villages plus Murs, Lioux & St Saturnin for approx 79 kms / 49 miles or more. Zone C - "A Year in Provence" country. With just 37 kms / 23 miles and only 400m of climbing you can visit the archetypal Luberon villages of Cabrieres d'Avignon, Menerbes, Oppede le Vieux, Maubec & Robion. With a longer ride you can visit these villages plus Vidauque & Cheval Blanc for approx 52 kms / 32 miles or more. Zone D - Rail bike track to Apt market town and onto beautiful Bonnieux. One of the easiest 60 kms / 38 miles that you will ever do, with just 390m of climbing. You head off out on the old train track bike track, enjoying its gentle engineered gradient, the calm and its views along the valley. Just after the picturesque Roman Bridge you head into Apt, a small town renowned for its large market. Then it's up, gently through the beautiful vineyards and views to Bonnieux. 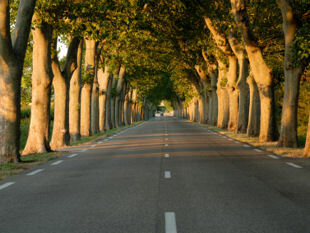 A longer ride and hillier ride also visits Saignon & Lacoste for 69 kms / 43 miles or more. Zone E - Around the Petit Luberon Hills. The most challenging of our zones and a great ride. With this 70 kms / 43 miles and 800m of climbing you can cycle around the Luberon visiting Vidauque, river orchards, Merindol, Lauris, beautiful Lourmarin & Bonnieux. Zone F - Unknown treasures. With 45 kms / 28 miles and 500m of climbing we take you the easiest ways to visit the beautiful but relatively unknown villages of Goult & Lacoste. A longer ride also visits Joucas & Gargas for 55 kms / 34 miles or more. 1 - the Distance : How far you want to go in Kms. Minimum distances - As we have seen above four of our zones require just 34/53 kms (21/33 miles) of cycling during your whole day, over flat to rolling terrain, whilst giving you plenty of sights and a full day's entertainment. 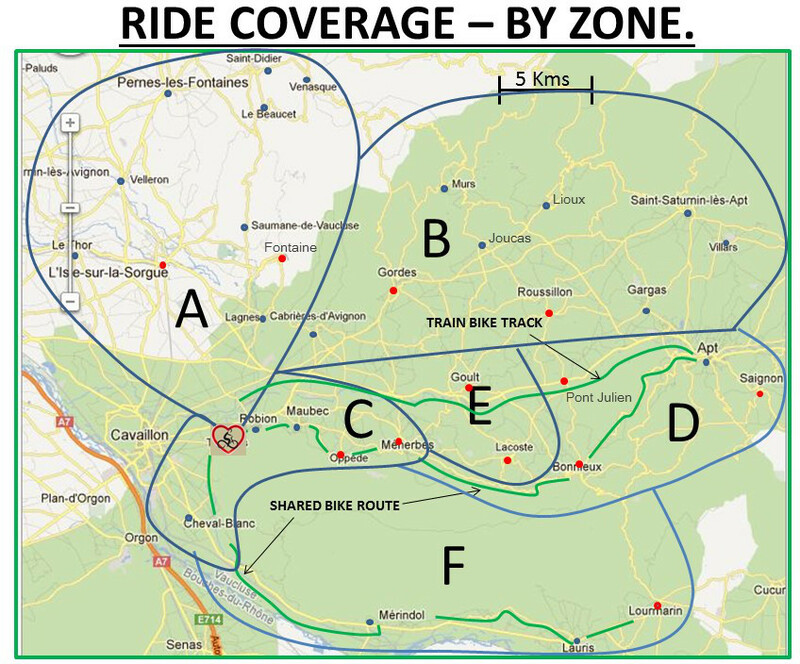 A fifth zone (Zone D - bike track / Apt / Bonnieux) is a minimum of 60 kms - but it's easy as it uses the train bike track and thus has an engineered low gradient to climb to Apt. 2 - the Level of Climbing Difficulty: Our rides are rated from 1 (easy - with very little climbing) to 5 (hard - with lots of climbing). You also have the altitude gain in metres for each ride. Two things to remember - No 1 the above list of rides & distances are just a guide and are what the majority of our bikers are usually looking for. If, however, you would like extra homework we can always easily design you longer rides, using our knowledge of the area, sights, roads and hills. No 2 - Our tours normally last for 6 nights i.e. 5 full days of cycling, so of the 6 zones, zone E (around the Luberon hills) with its longer distances and hillier climbing is often the zone that gets left out. 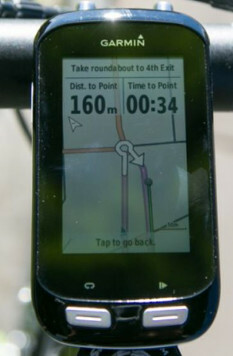 So once your zone and self guided ride chosen, simply select the ride number on your Garmin GPS and off you go! Please note that all rides start and finish at the villa. We will of course give you a run down on how the GPS works and we can take you out for a short 3 kms pratice ride too - but don't worry it really is a simple and a great way to cycle! And as back-up, we will give you a carry card with all the basic functions of your GPS - there's no need to worry though as we haven't lost anyone yet. 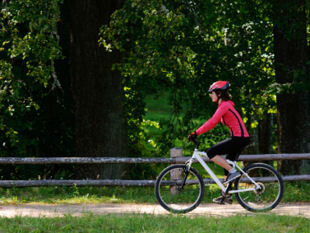 Note the Garmin GPS fixes solidly onto your bike's handlebars, and comes off easily for when you are visiting on foot. Each of our different daily rides has its own set of easy to use ride notes and cards that we recommend you take with you on each ride. They come in a format that is just the right size to fit into a bike jersey back pocket! So from the start of your ride we list everything in sequential order that we and our bikers think is worth noting, as well as the km point at which you will find it. This includes: Village Visits and Small Walks - along with directions in order to take in the best sights. Restaurants, Cafes & Ice Cream Parlours - there are lots of these, and unfortunately they are not all good! So we list our lunch & dinner favourites, where you should have a memorable or a decent light meal, depending on what you want. Vineyards - the most popular ones and where you can do tasting. Drinking fountains - important in Provence! For all the above, where applicable, we provide: addresses, prices, tel nos, along with opening hours. We had a high standard of cycle planning from Neil. He would visit and ensure that we had the bike routes we required. There was a "route menu” on a blackboard in the living area with the corresponding route numbers for the garmin. We would mostly choose from this, but Neil was more than happy to tailor a route to our needs. As first time cyclists we knew nothing about organising a cycling holiday. We didn't need to worry as Neil took care of everything. A huge selection of self-guided tours all pre-programmed into a GPS that attaches to your bike. The cycling is easy to moderate, though can be made a bit challenging by increasing the distance to as much as you would like. The GPS guidance is truly splendid and the scenery is first-class. "Choose from 60+ routes that accommodate a spectrum of skill and fitness levels, all programmed into a bar-mount Garmin instrument that guides you along the back roads of Provence. " P. SanderS - US - May 12. Our cycling experience couldn't have been better. Neil was able to customized our daily rides and knew just where to send us for a day of riding through lavender fields, olive and cherry orchards to hill top castles with fabulous views of the Luberon region. "Multiple rides withreally wide ranging lengths/climbs/variations, and really good information to accompany each ride, i.e. maps, climbs, sights of interest along the way and ideas for how to make the most of the ride. We didn't miss anything." "Neil has a complete menu of different rides to choose from, depending on the kind of challenge you want. Or he can create a route for you right on the spot." Click HERE to read more about our GPS Systems.